Today is a very sad day for Rochester High School. 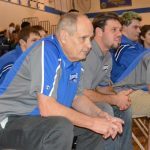 Long time Rochester High School wrestling coach Frank Lafferty passed away yesterday, after a nearly year long battle with pancreatic cancer. 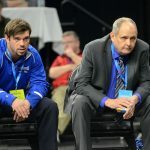 Coach Lafferty was inducted into the Rochester Athletics Hall of Fame in 2016, which celebrated his many accomplishments as the varsity wrestling coach at Rochester. 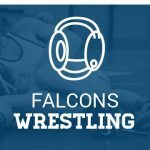 The Rochester Varsity Wrestling Team traveled to Lake Orion this weekend for the Oakland County meet. The team placed 10th out of the 38 teams in the county. Senior and Captain Richard Hamilton placed 8th in the heavy weight class. Sophomore Ben Kable placed 6th and sophomore Brandon Troy placed 5th in their respective weight classes.